The craziness begins next weekend. That’s when relatives will start traveling, presents will begin accumulating under the tree, and flour and sugar will coat the kitchen long after Christmas cookie baking sessions end. So this is your last weekend to truly enjoy the holiday season. Use your time wisely. The best place to spend this weekend is out of town. Since you’ll be taking care of your family soon enough, you should let someone else do the planning, the cooking, and the cleaning right now. But it won’t feel like winter, you worry as you travel to Rhode Island. The crisp air and the early setting sun say differently. But it won’t feel like the holidays, you worry as you arrive in Westerly. The white lights and the Christmas decorations, adorning the historic downtown, prove otherwise. But it won’t feel homey, you worry as you check in to Ocean House. The stone fireplace, the fireside carols and cocktails, and the promise of Santa Claus coming tomorrow make you forget all of your worries. Ocean House is usually considered a summer, perhaps the summer, destination. The Victorian-style hotel is perched high on the bluffs of Watch Hill. 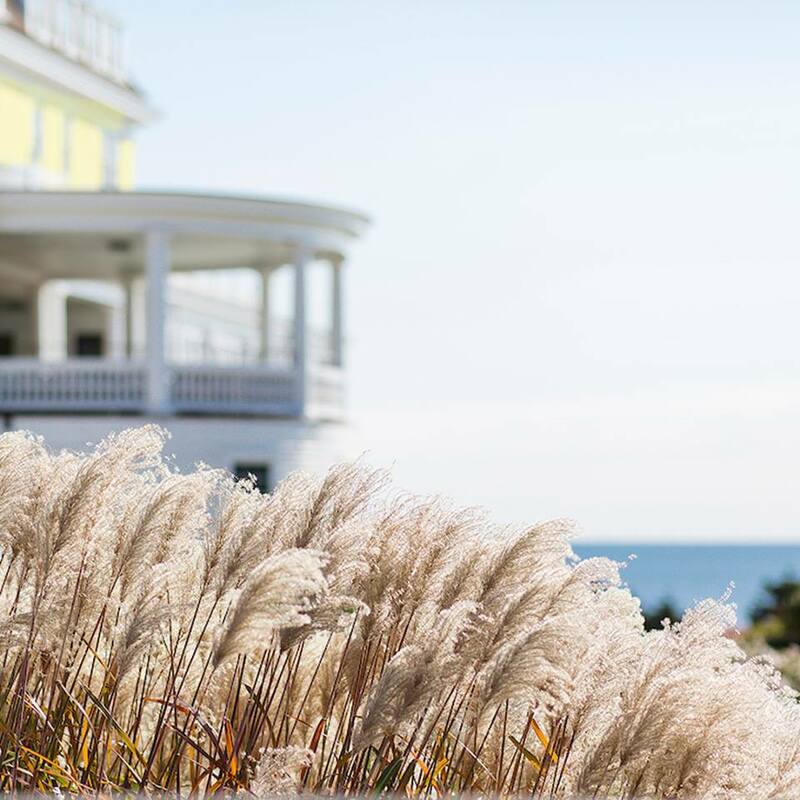 The southernmost point in Rhode Island, which has a view of both Block Island and Montauk on a clear day, is quaint and affluent at the same time. A croquet lawn, a putting green, and a shuffleboard court dot the hotel’s vast lawn. A white-sand beach, a yacht basin, and the rough ocean are below them. The grand, pale-yellow hotel towers over them all. Ocean House looks and feels like a historic hotel. It is—in a way. The hotel opened in 1868, after the Civil War. It grew, in size and respect, in the more than 100 years that followed. But the property wasn’t maintained properly. The hotel closed in 2003, and the building was demolished. Then, in 2010, Ocean House was meticulously reconstructed. The turn-of-the-century, New England beach vibe remained. So did the look of the main building, down to the positioning of all the windows. The new hotel has fewer, more spacious rooms. Yours has gray-blue walls, white trim, and floral and striped accents. The bathroom is marble. The linens’ thread counts are high. While the amenities—a floor valet panel, a loaner iPad, and a Nespresso machine—are thoroughly modern. Elsewhere, there’s the relaxing OH! Spa, which overlooks the water. 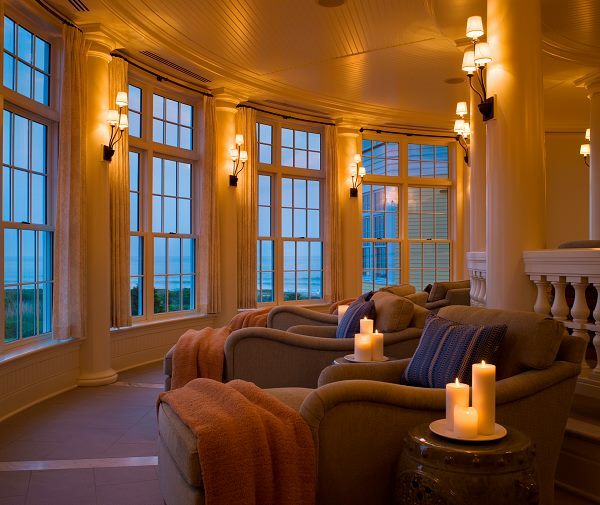 You plan to sit in its herbal steam room before your Ocean Glow body treatment. There’s the Center for Wine & Culinary Arts, which offers wine tastings, cooking classes, and tips from its resident Food Forager. There are even Mercedes-Benz cars, which you can borrow to go explore nearby Newport or Mystic. You’ll take advantage of all these activities tomorrow. Tonight, your only focus is COAST. The elegant restaurant serves a seasonal, four-course savory menu with optional wine pairings. Though it changes daily, you should always expect vegetables grown in the culinary gardens, freshly caught seafood, and meat from local farms. Wild Goose oysters, sea scallops, halibut, and Crescent Farms duck are currently on the autumn degustation menu. Plus a pumpkin spice soufflé, with chocolate milk ice cream, is a sweet treat at the end. Happy holidays to you.